Pipe end facing and chamfering machine is mainly used for milling the pipe ends and chamfering the edge of inside and outside. Equipped with shape copying chamfering knife, the treated groove is even and aesthetic. 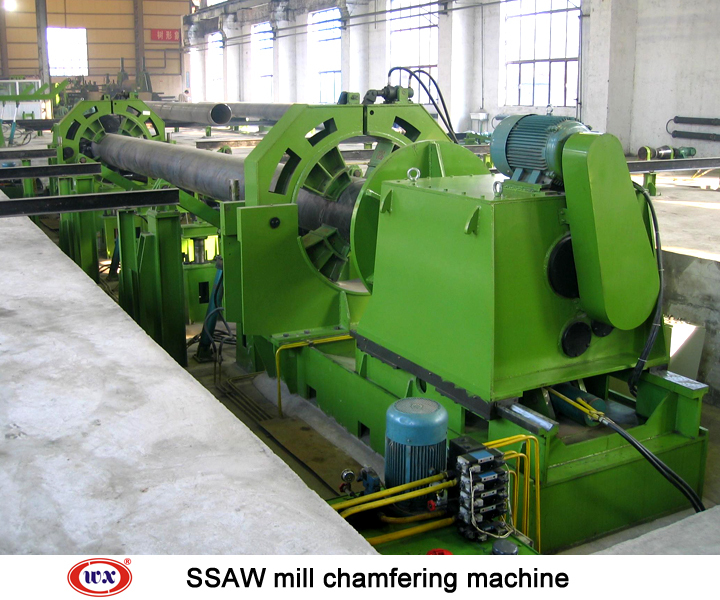 Wanxin can produce SSAW mill chamfering machine, whoes diameter can reach Φ3000mm. 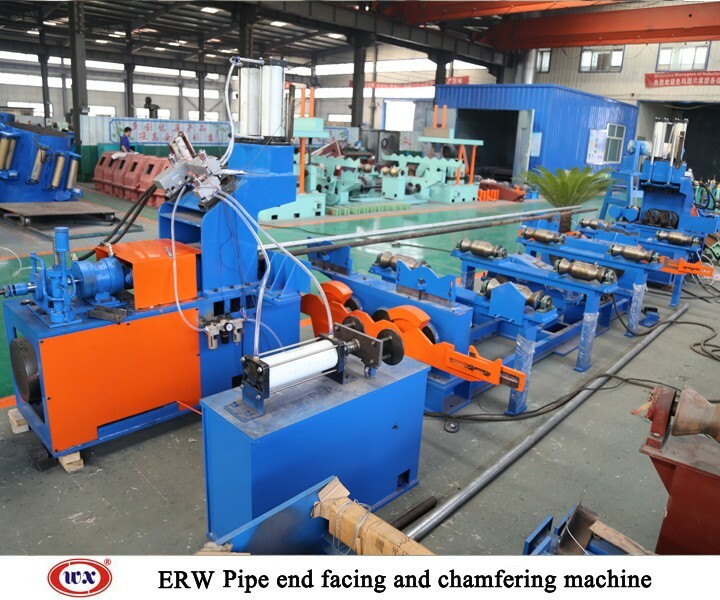 The pipe end facing and chamfering machine serves two purposes as it faces the pipe end square and bevels that square end to an angle suitable for welding. 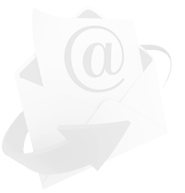 Controlled by a PLC system, the pipe end facing and chamfering machine automatically completes one cycle and resets to get ready for the next cycle without stop. Reasonable design, reliable, stable operation, and easy repair and operation are main straits of this weld end preparation machine.